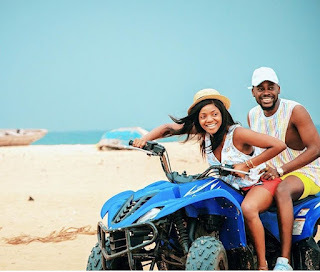 Singer Simi and her heathrob Adekunle Gold in lovely couple photo. They pose in a power bike looking all adorable and alluring. They share the photo to appreciate their fans across the world.